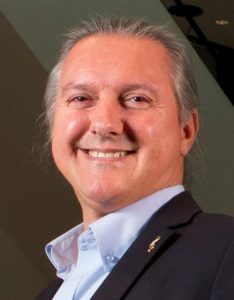 Bio: Sandro Carrara is an IEEE Fellow for his outstanding record of accomplishments in the field of design of nanoscale biological CMOS sensors. He is also the recipient of the IEEE Sensors Council Technical Achievement Award in 2016 for his leadership in the emerging area of co-design in Bio/Nano/CMOS in-terfaces. He is faculty at the EPFL in Lausanne (Switzerland). He is former professor of optical and electrical biosensors at the Department of Electrical Engineering and Biophysics (DIBE) of the University of Genoa (Italy) and former professor of nanobiotechnology at the University of Bologna (Italy). He holds a PhD in Biochemistry and Biophysics from University of Padua (Italy), a Master degree in Physics from University of Genoa (Italy), and a diploma in Electronics from National Institute of Technology in Albenga (Italy). His scientific interests are on electrical phenomena of nano-bio-structured films, and include CMOS design of biochips based on proteins and DNA. Along his carrier, he published 7 books, one as author with Springer on Bio/CMOS interfaces and, more recently, a Handbook of Bioelectronics with Cambridge University Press. He has more than 250 scientific publications and is author of 13 patents. He is now Editor-in-Chief of the IEEE Sensors Journal, the largest journal among 180 IEEE publications; he is also founder and Editor-in-Chief of the journal BioNanoScience by Springer, and Associate Editor of IEEE Transactions on Biomedical Circuits and Systems. He is a member of the IEEE Sensors Council and his Executive Committee. He was a member of the Board of Governors (BoG) of the IEEE Circuits And Systems Society (CASS). He has been appointed as IEEE Sensors Council Distinguished Lecturer for the years 2017-2019, and CASS Distinguished Lecturer for the years 2013-2014. His work received several international recognitions as best-cited papers and best conference papers. He has been the General Chairman of the Conference IEEE BioCAS 2014, the premier worldwide international conference in the area of circuits and systems for biomedical applications. Integrated electrochemical Nano-Bio-Sensors  for diagnosis and/or treatment of patients with specific physiological conditions (e.g., heart, cardiovascular, cancer diseases) or convalescents is a key factor to provide better, more rationale, effective and ultimately low-cost health care also at home. The ultimate goal of improved health care on those subjects is the extension of the patients’ autonomy, the possibility for auto-monitoring, the improvement of their comfort levels and their integration into everyday life. Some systems for on-line monitoring are available in the market. They use wearable devices (accelerometers, heartbeat monitoring system, etc). However, all these systems do not measure the human metabolism at molecular level (metabolites). The only available real-time, implantable/wearable systems for metabolic control are limited to glucose monitoring and used only for diabetic patients. However, electrochemical sensors may address so many other molecules, which have crucial relevance in human metabolism in chronic patients. So far, there are no available integrated nano-bio-systems for multi-metabolites, real-time, remote monitoring of the human metabolism. Thus, the aim of this keynoye is to present innovative concepts for multi-panel, highly integrated, wearable, and real-time monitoring systems for human metabolism at molecular level. The considered metabolic molecules will be glucose, lactate, glutamate, ATP , and anticancer drugs as well as anti-inflammatory ones . In case of drugs, the specificity of electrochemical sensors is improved at system level . The proposed nanotechnology will be based on carbon nanotubes to improve the sensors performance [3, 5]. To pursue their detection, innovative VLSI solutions  are discussed including the system remote powering . The new approach is demonstrated by showing Systems-In-Package with embedded System-On-Chip that integrate: (i) a sensors array for data acquisition; (ii) remote power and/or data transmission; (iii) nano-sensors; CMOS IC design; (iv) multi-panel metabolites detection. Systems applications are shown in the field of wearable future devices with reference to several molecules as detectable on skin sweat, as well as by including packaging issues  and monitoring in intensive care units . Title: While Building B5G and 6G Solutions – Shall the Vertical Businesses be Involved This Time? Bio: Prof. Ari Pouttu has scientific and engineering experience as a researcher, project manager and research manager in various domains of ICT development. The projects under his command have resulted in waveforms and system designs for military radio communication, radar systems, embedded device networks, future wireless radio communications including cellular systems, cognitive networks and navigation applications.He has published more than 60 conference or journal papers in the field of wireless communications and he holds two patents. 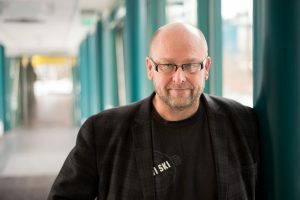 He was the Director of Centre for Wireless Communications in the University of Oulu from 2006 to 2012. Currently he is heading as a professor a research group targeting dependable wireless solutions for business verticals such as energy, industry, health and automotive including solutions for 5G. He is the principal investigator of 5G test network (5GTN) experimental research, co-PI of H2020 Sat5G, H2020 5G-Enhance projects and is acting as vice-director in national 6Genesis flagship targeting 6G solutions.